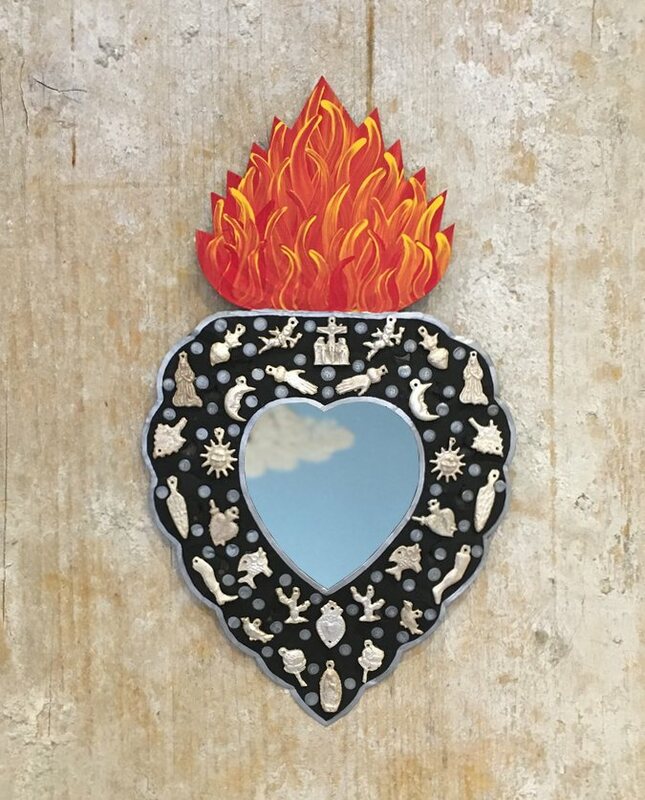 Mirror heart set with milagros and topped with flames. Made and painted by hand in Mexico. Mirror heart set with milagros topped with flames. Fine craftsmanship from Mexico elaborated and worked by a creative craftsman from the San Miguel de Allende region.